As a child, family vacations began with a trip to the local AAA office. We’d sit with a travel agent who would provide us the TourBooks for our destinations, suggest hotel recommendations and my favorite part, they would give us the TripTik book that provided directions across all the North American highways. While that was a great system at the time, social media has revolutionized the way we plan for travel. Now we can engage with local hotels and restaurants directly and even gain insight from locals and travelers who have been to our chosen destinations in the past. A 2006 trip to Croatia was the first time I tested out social media insights for travel. I used TripAdvisor.com to find recommendations from other travelers on sobes (rooms) to rent as opposed to staying in large hotels. Following that trip I posted my reviews on the site and from then on I’ve relied on websites and social media for researching, planning and booking vacations. In April 2010, social media took on new importance as the volcano Eyjafjallajökull erupted in Iceland and sent a cloud of volcanic ash across the European skies resulting in thousands of canceled flights across Europe – including mine. Almost immediately #ashcloud and #ashtag hastags popped up on Twitter and stranded passengers sought comfort from strangers on Twitter. EuroControl, the organization overseeing safe airline travel in Europe, began regularly posting to its Twitter feed, responding to as many people as possible and urging travelers to connect with each other over Twitter for more information. This major travel and business emergency, played out on Twitter as airlines, government regulators, and passengers used social media to tell their story. At this point, it became clear that social media was a major source of travel information in developed countries. However, as I recently planned a trip to Peru, I realized it was even more critical in developing countries. While the invention of the internet allowed hotels, museums and other destinations to show and tell their story directly to travelers, the cost to build and maintain websites is a heavy burden for small inns in developing countries. When Facebook allowed companies to create pages, small inns found an easy and affordable way to maintain a web site. In addition, the increase of services like Skype allowed travelers around the world to talk to inns for the price of a monthly internet connection. 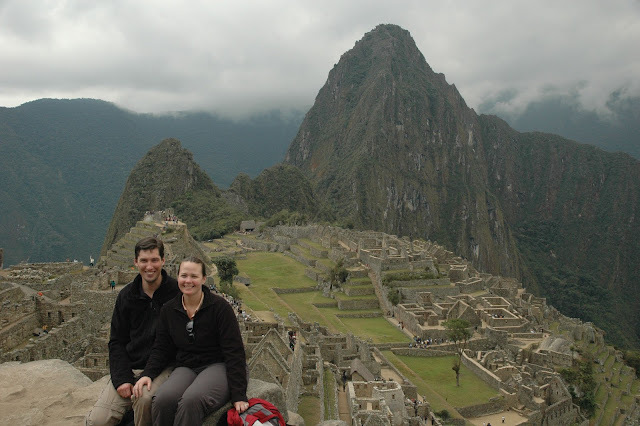 Travel boards, Facebook, Twitter and Skype were my only travel agents as I booked a 17-day trip to Peru. Without these social media tools, I would have been unable to find the 5-room B&Bs, best spots for ceviche and cheapest ways to travel across the country. And one of the best parts of social media is that I still today follow some of my favorite new twitter accounts and Facebook Groups from Peru to relive my vacation.